Today we’re going to discuss mineral make-up, its pros, cons, and how I personally feel about it. What is mineral make-up? The title is pretty much self explanatory, mineral make-up is composed of a select combination of minerals, such as mica, boron nitride, magnesium stearate, etc. Mica has light reflecting qualities, that gives you a “glow”, Boron Nitride increases adhesion, while Magnesium Stearate is responsible for a matte effect. A few other ingredients are Talc, Corn Starch (read my warnings about it) and most importantly Bismuth Oxychloride. To you Bismuth Oxychloride might sight like any other chemical component, however it plays a very significant role in mineral make-up. After using make-up brands that contain BO, many people report horrendous allergic reactions, break-outs, dermatitis, and a general burning sensation in the cheeks, chin and other areas. Sounds pretty nasty right? The worst part is that it may take months to get rid of the damage, damage that you would never expect from something that screams “healthy”. Well, this very ingredient is found in Bare Escentuals, the company that made Mineral Make-up a craze in the world of cosmetics. What are the pros then? Not everybody has an allergic reaction, and secondly the make-up has a small amount of ingredients, no fragrances and it looks quite good. If you are planning to buy Mineral Make-up make sure it doesn’t have BO, even if you are sure you have no allergic reactions to it, its always better to be safe. Secondly make sure to get a great shade, otherwise you will either look dirty or have a blue/grayish tinge. Lastly, mineral make-up is not white-wash so use it sparingly, because it will usually contain Mica, slathering it on will give you too much “glow”, and the staying power will be weak. Finally, as a last reminder, if you do decide to buy something from Bare Escentuals feel free NOT to buy ALL of the products they recommend. Some of the products and what they claim are completely ridiculous (for example the powder that you can sleep in, how retarded is that, nighttime is the only time your skin rests, AND its 60 dollars). How do I personally feel about it? 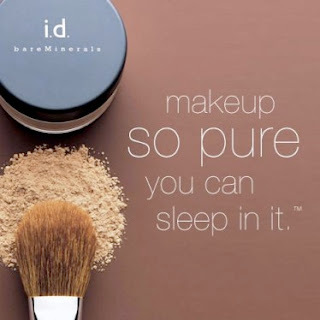 Mineral Make-up is not my first choice but if I ever decide to get it I will nit-pick and find a brand that is completely hypo-allergenic and non-comedogenic, in addition no matter how much you want to cover your skin its more important to heal it, so I invest more into skin-care than make-up.